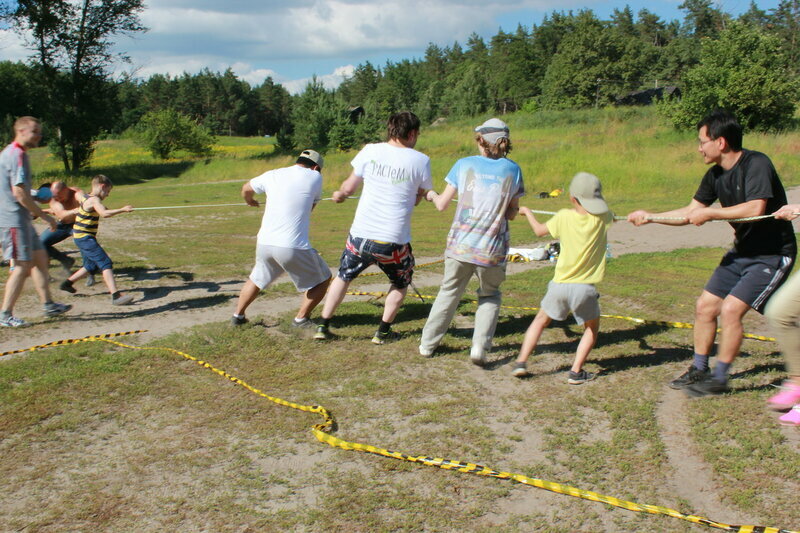 The first Family Festival under the brand name GROWING TOGETHER for the families affiliated with the United Methodist Church of the Eurasia Episcopal Area took place in Camp Crystal, Voronezh, Russia on June 21-20, 2016. It was our idea to find an approach that will allow families to be together in study and in leisure, in growing spiritually and having fun, in improving relations and enriching experience, in strengthening family spirit and team work, in enjoying sports and hobbies in a manner that adds on to the healthy way of living regarded through the holistic approach. It had to be profound and fun. It had to be education and celebration. This is how we came up with the festival format for this event. We wanted to create a pattern that could be easily replicated in various regions, districts and conferences of our Episcopal Area later, and we have chosen the name that illustrated our thriving for holistic growth, transformation and development in all areas family and personal life involves, as well “do it together” approach, where all the family members are equally welcome to participate and will find this interconnectedness immensely pleasing. So, the brand GROWING TOGETHER was born and proved to be both successful and inspiring. It came to portray our desire to grow together in healthy habits, in God, in love and in strengthening the family relations. The festival took place in a picturesque pine-tree woods resort near the Usmanka river in the camp owned by the United Methodist Church of Eurasia in the Central Black Soil district of Russia. Around twenty families from Moscow, St. Petersburg, Samara, Volgograd, Satka, Tyumen, Komsomolsk-na-Amure, Petropavlovsk-Kamchatsky, Bishkek, Karabalta participated in the festival. The daily schedule was very intense, but, honestly, no one wanted to skip a single moment of a program. GROWING TOGETHER FESTIVAL from the day one was designed to be not just a family project, but a Christian family project. Every day of the camp started with a family prayer. We have even developed a special pamphlet on a family prayer, so that those Christians, who knew perfectly well how to pray by themselves, but never tried this spiritual discipline to strengthen a family, found it simple to follow this practice. And it payed off dramatically, for nothing can unite a family and help it to be both a team and a nurturing space for love to grow, better than a regular family prayer. Of course, the spiritual inspiration was always there during the daily evening worship services. As a special blessing came a candlelit evening of praise and prayer led by Nadya Sharopina from Kyrgyzstan. The educational part of the festival contained seminars and practical trainings on the most burning question of the family living – how to reach harmony in life and relations. Rooted in holistic approach our lectors focused on this subject from different angles but always from the Christian point of view. Yulia Starodubetz, the UMC pastor in Bishkek, Kyrgyzstan, the MD and the university professor spoke about family health, healthy habits and conducted a first aid training workshop. The issues of psychological health were addressed by the prominent couple of practicing family psychologists and psychology professors from Samara, Russia, - Mikhail and Nadezhda Telepov. They helped the audience to understand the roots of harmony and discord in the relations between husband and wife, parents and children as well as the reasons of misunderstanding between the generations, conflicts and falling into addictive behavior. During the practical sessions, they gave everyone an opportunity to test themselves and helped them to find their way to harmonious relations and self-fulfillment. It is hard to imagine a family festival and holistic health without doing sports, and indeed half of the festival time was devoted to family sports and games. Anton Sharopin from Kyrgyzstan prepared a well-balanced and fun program starting with morning exercises conducted by a clown he played himself as well as an afternoon family outdoor games and relay races, and ending with the All-Eurasia UMC Soccer Cup championship to coincide with the 2016 Euro Cup also held in June. The special program for the children, organized by children ministers from Samara and Karabalta, kept them busy and interested during the day, while their parents were taking seminar classes in family living, and when it was time for the Big Family Game, families reunited to compete in various sports and actions as a family team. 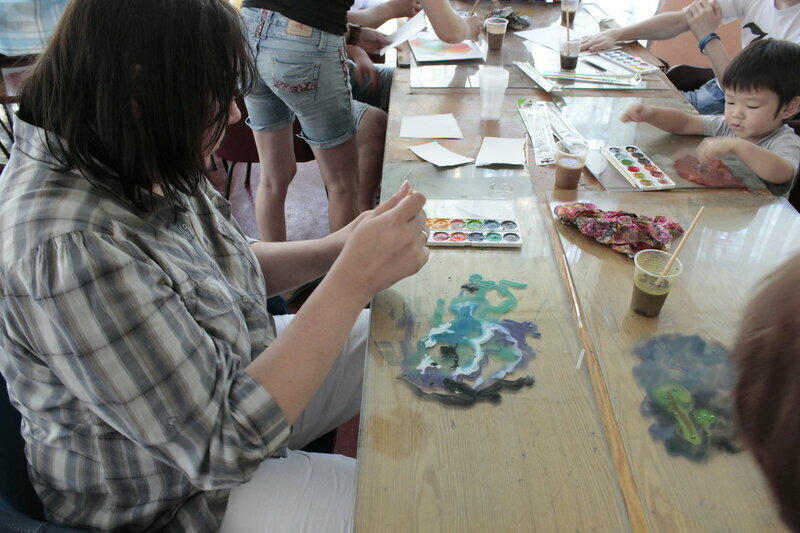 For their rest and leisure families could spend time creatively, participating in the sushi-cooking, visual arts and crafts classes, conducted by Fedor Kim, Irina Pozharskaya and Natalia Smirnova or relax during the dance therapy workshop, swim in the river and take a walk into the woods. And of course, there was a right touch of romance added to the event by the dating cabins, where married couples could meet at night to celebrate their marriage in quality time together, having tea and desserts in the romantic interior lovingly created by Ekaterina Kim. Another addition to it was the Love Dare program, based on the Fireproof movie and the Path of Love for the couples to walk together to reignite their feelings and to live through new instances of love, tenderness and gratitude to the spouse, organized by Elena Melnikova. Truly, it was a joyful celebration of family time together.